A local hairdressers Nero in St Ives Cambridgeshire has been awarded a place in the hairdressing industry’s most fashion-led live hairdressing competition the L’Oréal Colour Trophy 2013. The acclaimed event will be happening on 8th April 2013 in Duxford. To gain a prestigious place in the Regional final the salon submitted a photograph demonstrating their technical expertise and their fashion awareness on a male or female model. Chloe Faris, a senior stylist from the salon was quickly noticed for her ability to produce a modern and inspirational hair colour with a stunning editorially inspired finish and shook off stiff competition of over 1000 entries from across the UK. Nero will now require a stunning, catwalk confident model to put both their knowledge of catwalk trends and technical skill to the test on as they complete their model look live in just 45 minutes. The goal is to create a look that encapsulates the brief of a ‘well executed, inspirational, modern colour with a beautiful editorially inspired style and finish on a female model, complementing an Autumn / Winter 2013/14 fashion trend to create a show-stopping total look’. Chloe is part of a very excited salon team who are all overjoyed with having broken through to the next level of the competition. 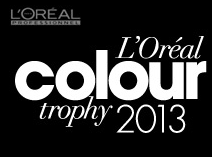 The team will now join 35other salons from across the southern region in a bid to secure the L’Oréal Colour Trophy Award 2013. "It’s an amazing achievement to make it to this stage, the Regional finals have an amazing atmosphere and it’s great to bring talented hairdressers from all over the region under roof. What turns my head and captures my attention is when all the elements come together, great model with styling and makeup that work flawlessly with the cut and colour – an overall look that looks effortless." Nero could be one of just six salons to walk away with a place in the industries longest running, glamorous awards event the 58th annual L’Oréal Colour Trophy Grand Final on June 3rd 2013 inside the elegant Grosvenor House, Park Lane, London. This stage leaves them just one step away from scooping the unparalleled grand final prize of A Year of Dreams’ An exciting mix of educational courses, creative oversees events, national media exposure and glamorous fashion shoots.